If you only order tacos here — we liked the braised lamb with queso fresco most and the bland and fishy red snapper least — you will miss the best bits. 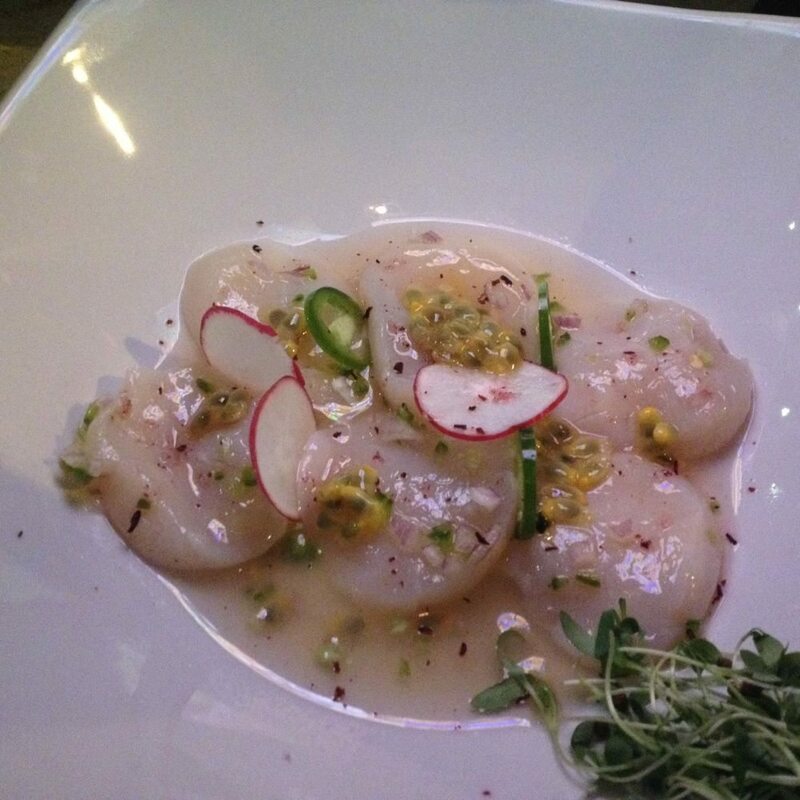 Sophisticated dishes like the scallop ceviche with passion fruit seeds and smoked hibiscus salt. Yes, a very pretty plate, but it was the balance of tart-sweet, soft-crunch, and chili-rev that was so beautifully judged. Homier dishes pleased as well, like the cast-iron cornmeal arepas, buttery-rich, served with a cap of fresh mozzarella, moistened with a fruity red salsa and scattered with spiced up peanuts. Or the pig cheek, the meat soft, rich and nicely crispy, on a bed of ‘dirty rice’ with chorizo sausages for good measure and pickled cabbage for some tart relief. 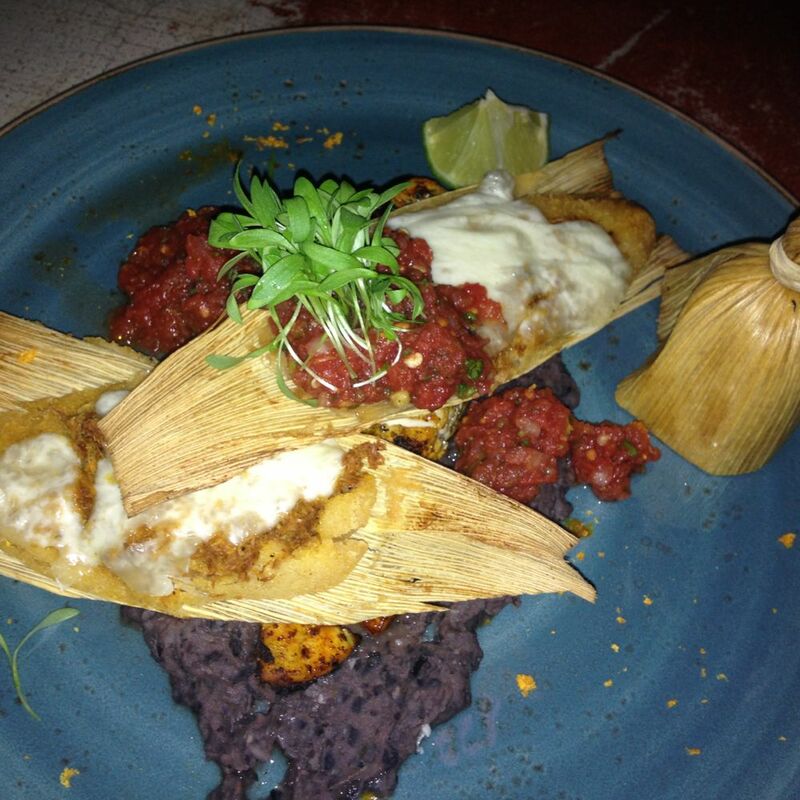 A black bean mash was zesty and invigorating beneath the tamales de pollo. These packages wrapped in corn husk had good kick, and the sliced chicken beneath was moist and fragrant. Grilled beef tenderloin arrived med-rare as requested, with a pat of oozing chimichurri-flavoured compound butter, served with glazed carrots. Devilled mushrooms in a red chile butter sauce arrived topped with a fried sunny egg and had good flavour, but could have been less flabby. The Brussels sprouts were perfectly cooked, but uncomfortably sweet. Not a thing wrong with the Mexican fries, though. Space for churros with coconut caramel sauce should be considered. 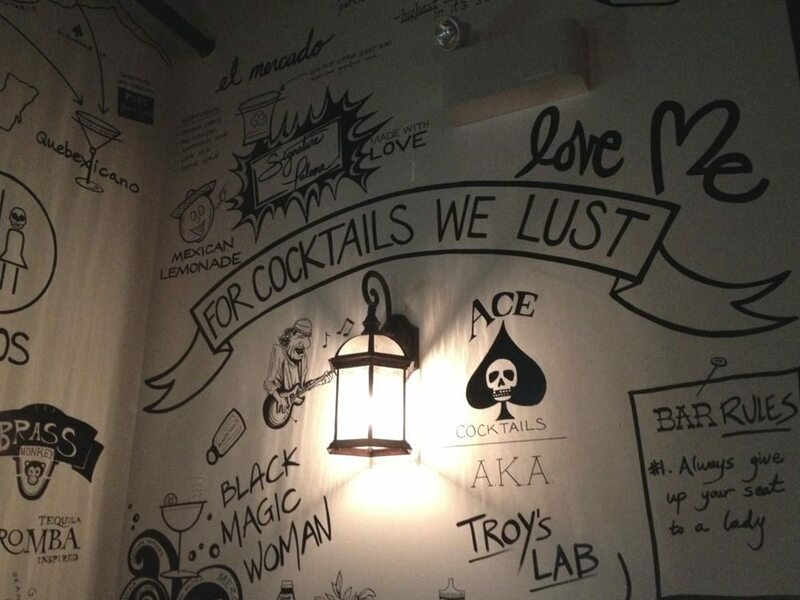 My friend and I ate ours quickly, paid, and went out for a quiet coffee, leaving the new Ace Mercado and its acoustics to the demographic it clearly seeks.